Before the cold weather even sets in, it’s important to clean out your gutters. You need to remove any leaves and debris that have built up in the fall. Having the gutters clean will allow the water to flow through them unobstructed. In addition to cleaning the gutters, take the time to ensure that they are secure and that none of the joints are loose. Tighten up loose areas, replace old screws, and see that they are properly secured to the house. If part of the gutters are loose, it can easily fall off or start hanging off once they fill with snow and water. Check for leaks by running water from your hose through the gutters in the fall. 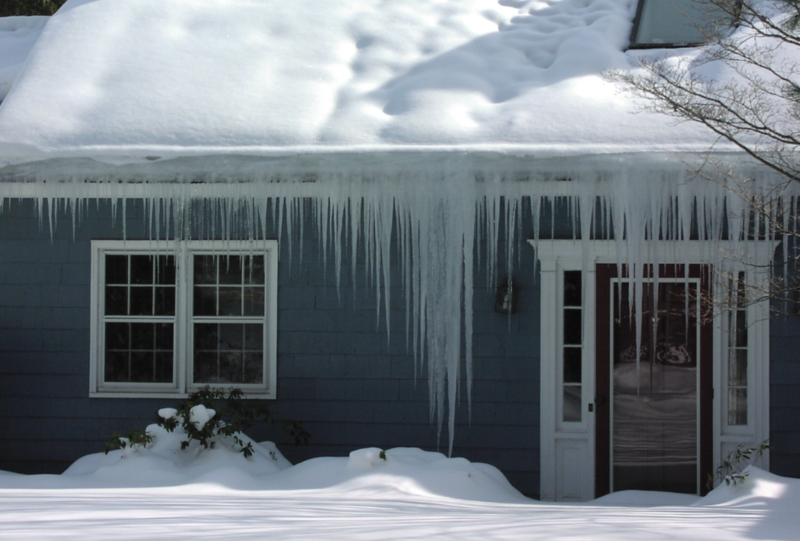 One of the biggest dangers to gutters in the winter is ice build up. Snow and moisture can quickly freeze, and when temperatures stay low, it can stay frozen for days or weeks at a time. Ice can prevent melting snow from flowing out, and the moisture can back up and cause roof damage. 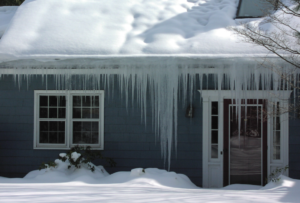 Ice build up can also weigh down sagging or damaged gutters. That’s why it is so important to make sure that your gutters are in good shape before the first flakes even start to fall. Damaged gutters can lead to a damaged roof, which will end up costing you a great deal in repairs or replacement. By keeping your gutters clean and secure in every season, you can prevent problems. Cold temperatures, high winds, and heavy moisture can really wreak havoc on a home’s exterior, so take the time to do some preventative maintenance and upkeep throughout the winter months.